add link to fixed Gimphoto package for Ubuntu 10.10 or later. add Linux DEB package for 64 bit system. as Universal Linux Installer or as Debian Package (deb). 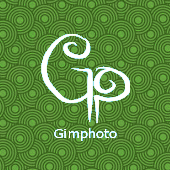 Gimphoto for Linux Installer already tested using Linux Mint 4 Daryna and Ubuntu 8.04 Hardy Heron. Package created by Andy Hepburn. 2. Install it using Gdebi OR Double-click it from Nautilus. "I see some folks are wanting to run Gimphoto on 64-bit Linux. So, I've re-packaged it in a new .DEB file, with the architecture set as "amd64". Because it's still the same 32-bit binaries and libraries, I've also added the dependency on "ia32-libs" - so it will play nicely with package managers such as Synaptic." for Ubuntu 13.10/Ubuntu 10.04 64 bit just download and install 32 bit package installer. Gimphoto for Linux Universal Installer is created using Easy Installer Maker, InstallJammer and compatible with ALL Linux Distro such as: Fedora, RedHat, Suse, Mandriva, etc. (for Ubuntu or Debian based Linux is better using DEB package). - put file and its MD5 file at the same folder. 2. From Nautilus, click on file gimphoto-1.4.3_setup, right-click, select "Properties" then click Tab "Permissions" and ENABLE "allow execute as program". 3. Run gimphoto-1.4.3_setup with double click it from Nautilus. 4. Installer will ask about root password to be able to install Gimphoto 1.4.3 for Linux (root password is required because Gimphoto must be installed under /usr/local/gimphoto). 5. Gimphoto must be installed under /usr/local/gimphoto and DON'T CHANGE THE INSTALL LOCATION or Gimphoto will not be able to find its special user preferences settings. BACKUP your GIMP user preferences before run Gimphoto. for easy step, use Nautilus > Menu > Enable Show Hidden Files and then browse to folder /home/your_username, find folder .gimp-2.4 and rename it to .gimp-2.4-bak. You will run special created script shell because GIMP is available in your system and Gimphoto must be can find and use its own preferences and library files rather than GIMP files. DELETE your GIMP user preferences before run Gimphoto. Usually uninstall GIMP is not also delete the GIMP user preferences, this will affect Gimphoto when we run it. You will run special created script shell because some newer Linux distro using GIMP 2.6 that its libgimp version isn't compatible with Gimphoto's libgimp version. Using this script Gimphoto can find and use its own preferences and library files rather than GIMP files. - Click lxsplit, Right-klik, Select "Properties", Click Tab "Permissions", Enable "allow execute as program". - Download lxsplit-0.2.3.tar.gz from Sourceforge.Net. 5. Check your gimphoto-1.4.3_setup file integrity with MD5 for gimphoto-1.4.3_setup. - Put file gimphoto-1.4.3_setup and file gimphoto-1.4.3_setup.md5 at the same folder. - If match, the file status is OK.
6. From Nautilus, click on file gimphoto-1.4.3_setup, right-click, select "Properties" then click Tab "Permissions" and ENABLE "allow execute as program". 7. Run gimphoto-1.4.3_setup with double click it from Nautilus. 8. Installer will ask about root password to be able to install Gimphoto 1.4.3 for Linux (root password is required because Gimphoto must be installed under /usr/local/gimphoto). 9. Gimphoto must be installed under /usr/local/gimphoto and DON'T CHANGE THE INSTALL LOCATION or Gimphoto will not be able to find its special user preferences settings.